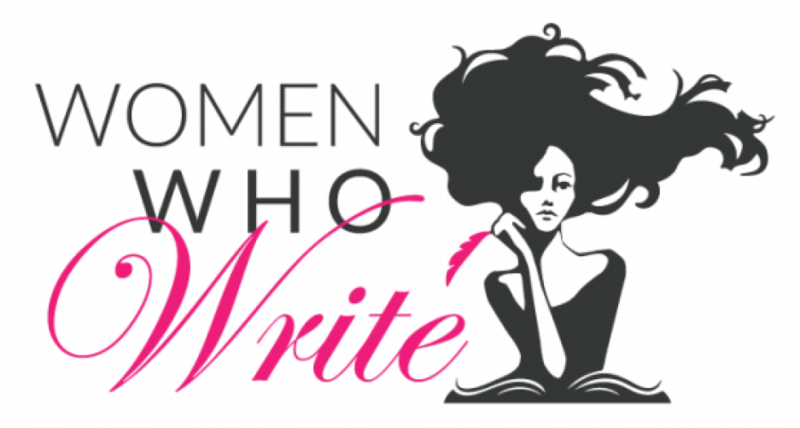 10 Q’s With Michelle Cox | Women.Who.Write. Yes, I write every single day, even sometimes on birthdays and holidays if I can squeeze it in. No music! I have to have complete silence. So no writing in coffee shops, bars or any other trendy place! “Nervously”, “uncomfortably”, “eyebrows arched” or any form of “smile” – smiling, smiled, with a smile, etc. In the very early morning while the rest of the household is still asleep, I sit with a cup of coffee and pray for about a half hour. After that, if it’s during the school year, I get everyone off on the bus and then immediately make a bee-line for the computer and start writing. If it’s spring break or summer break, then I try to creep upstairs after my morning prayer/musings to get in some writing until they all start tumbling out of bed. Well, I have three piles that I rotate between: a stack of She Writes Press books, a stack of comparative titles in my genre, and a stack my 4th grade daughter has given me to read (how can I resist?). So, respectively, from each stack I’m reading: Eliza Waite, by Ashley Sweeney (She Writes), The Ashford Affair, by Lauren Willig (comparative genre), and Because of Winn Dixie, by Kate DiCamillo (Ellie’s list). As for what I’m watching, I’ve been so busy recently with promoting A Girl Like You and getting A Ring of Truth ready for publication next spring that I have given TV a two-month hiatus. I did watch a little of Grantchester, season 2, a few nights ago, though. Special treat. Book that you read over and over again. I’ve never been one to reread books because of something one of my English professors once said, which was that even if we lived to be 100 years old, we won’t be able to read everything we want to read, so choose carefully. That’s always stuck with me. That being said, I have read a few more than once: A Confederacy of Dunces by John Kennedy Toole, Great Expectations and Little Dorrit by Charles Dickens, Little Women and Little Men by Louisa May Alcott, and The Chronicles of Narnia, by C.S. Lewis. My biggest challenge is definitely balance. Trying to balance being a wife and a mother of three, all of whom have their own set of challenges, and being a full-time writer. I didn’t realize when I began writing that this is a full-time job – if you want to have any level of success, that is. But I suppose “success” means something different for everyone. A mom! Actually, I don’t know what else I’d be if I had to pick some other sort of “real” career. Social work, maybe. My fantasy job would be to be a groundskeeper on some huge estate in England, like Chatsworth, where I had nothing else to worry about except which of the roses should be trimmed that day. My biggest source of inspiration is my faith. That’s probably not what I’m supposed to say, but that’s the truth. Buy the next one in the series! Henrietta Von Harmon works as a 26 girl at a corner bar, Poor Pete’s, on Chicago’s northwest side. It’s 1935, but things still aren’t looking up since the big crash and her father’s subsequent suicide. Left to care for her antagonistic mother and younger siblings, Henrietta is persuaded to take a job as a taxi dancer at a local dance hall. Henrietta is just beginning to enjoy herself, dancing with men for ten cents a dance, when the floor matron suddenly turns up murdered. The aloof Inspector Clive Howard then appears on the scene, and Henrietta unwittingly finds herself involved in unraveling the mystery when she agrees to go undercover for him. Even as Henrietta is plunged into Chicago’s grittier underworld, she struggles to still play mother “hen” to her younger siblings and even to the pesky neighborhood boy, Stanley, who believes himself in love with her and continues to pop up in the most unlikely places, determined, ironically, to keep Henrietta safe, even from the Inspector if needs be. Despite his efforts, however, and his penchant for messing up the Inspector’s investigation, the lovely Henrietta and the impenetrable Inspector find themselves drawn to each other in most unsuitable ways. A Girl Like You has received two starred reviews from Library Journal andBooklist and placed as a Finalist in Romance in the 2016 Next Gen Awards. It has also been listed as a top spring read by Your Tango, Popsugar andBuzzfeed and is currently enjoying its second print run. Book two of the series, A Ring Of Truth, will be released Spring 2017. Michelle Cox holds a B.A. in English literature from Mundelein College, Chicago, and is the author of the award-winning, Henrietta and Inspector Howard series. She is known for her wildly popular blog, “How to Get Your Book Published in 7,000 Easy Steps -A Practical Guide” as well as her charming “Novel Notes of Local Lore” – a blog dedicated to Chicago’s forgotten residents. Her articles have appeared in the Manhattan Book Review; Daily Urbanista; Women Writer’s, Women’s Books; and We Heart Writing. Ms. Cox lives with her husband and three children in the Chicago suburbs.